Over the past five days, staff at Weldmar Hospicecare have been celebrating 25 years of providing Hospicecare throughout Dorset. But today those celebrations were dampened by the news that thieves had targeted our charity. 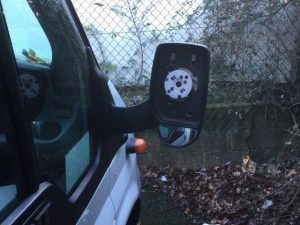 Just after 8.30am on Wednesday 23rd January, staff at Weldmar’s Poole Furniture Outlet on the Nuffield Industrial Estate, discovered that their delivery van had been targeted by thieves. 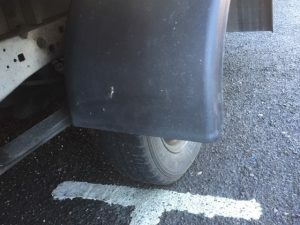 The two rear wheels were missing along with their wheel nuts, two complete rear light units and the offside drivers mirror glass. The incident was reported to Dorset Police by 8.40am. We have a chain of 26 charity shops and furniture outlets across the county which, along with the various fundraising events and activities, help fund the charity’s services which are provided free of charge. It is believed that it is going to cost the charity over £1,000 to replace the parts, which is the equivalent of one patient recieving 24 hour care for three days on our inpatient unit. 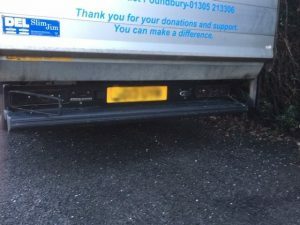 We ask our customers of the outlet to bare with us whilst we replace the parts on the van so it is safe to use again. Until then, any scheduled deliveries and collections will be suspended.